Rare is the property that sits on an even grade. Most pieces of property have at least small changes in elevation, and these changes in elevation add interest and visual appeal--if you know what to do with them. 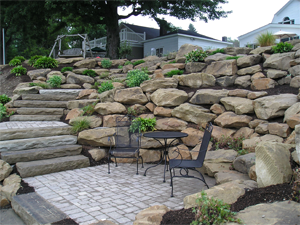 The best way to deal with hills and difficult grades in your landscaping is to build retaining walls. Below we've listed four main types of retaining wall block and explained their benefits and limitations to help you decide which type of retaining wall block would work best for your landscaping. 1. Concrete Block. If you're looking for an affordable solution, concrete blocks may be the retaining wall block for you. Depending on the style of concrete block you choose, your walls could look sleek, complicated, or even natural to your existing landscaping. Benefits. Concrete blocks are affordable, sturdy, and modern-looking. They're also easy to install and come in a variety of colors and textures. 2. Stone Veneer. Those seeking a natural look might opt for stone veneer for their retaining wall blocks. Stone veneers can give you a custom look that matches your existing patio, your home's architectural details, or other hardscape elements in your landscaping. Limitations. Water can accumulate in the interior of the wall, and if it does so, it will destroy the wall's integrity, leaving it vulnerable to erosion and other pressures. With so many options, it can be difficult to choose the retaining wall block that appeals most to you. In this case, it's wise to consult with a professional landscape designer. 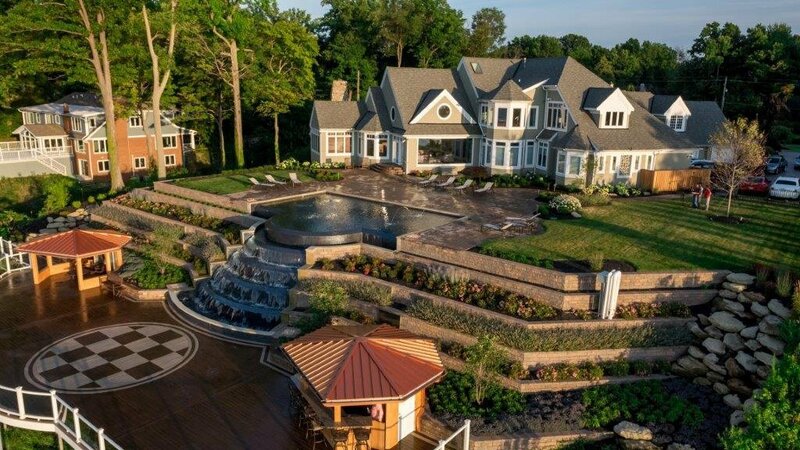 A landscape designer will have insights into which options best suit your landscaping, not only in terms of looks and design, but also in terms of practicality and durability.